Home Gaming The Collection of Top 10 Best Quest Skyrim Mods to Date! 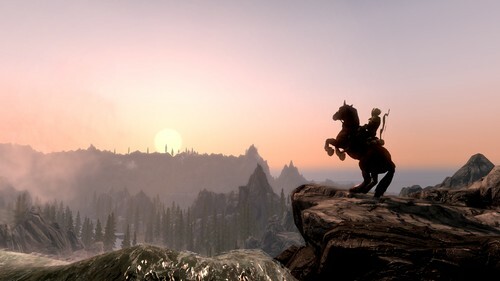 Skyrim has released in 2011 and it has become one of the most popular RPG of all time. The beauty of Skyrim doesn’t only rely on its content alone, but also the vast possibilities of Skyrim mods. Therefore, the world of Skyrim is always fresh and new, even though the game is 6 years old by now. These Skyrim mods don’t only add gameplay, mechanic, graphic enhancements but also including quest mods. These quest mods are at high quality, and surely players will spend tons of hours to immerse themselves in Skyrim. With the latest Skyrim Remastered Edition, it is the perfect time to return to Skyrim and enjoy new quest mods. And so here we are: Top 10 Best Quest Skyrim Mods to Date!. * Note: All of these quest mods in this list are randomly put only and the list doesn’t reflect ranks or definitive qualities of the mods. Coming first on this list is Moon and Star. It features a new story of a mysterious criminal who has been known throughout Morrowind. And this time, he appears in Skyrim. 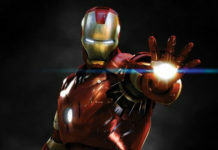 However, chasing down this criminal is not an easy task as there are many hidden things surround him. Therefore, it is up to us to discover the mysteries and decide the best course of action. 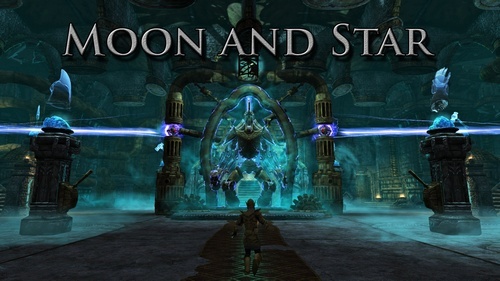 Moon and Star includes: 1 main questline, 4 side quests, a new town with 1 new merchant and 2 new trainers, 7 new weapons and 1 new spell, 1 new dungeon with creative puzzles and boss (according to Nexus site). Compared to many other quest Skyrim mods, Moon and Star isn’t exactly an extensive mod with a whole new area. But the attractive part of Moon and Star is its voice acting and NPC interaction. 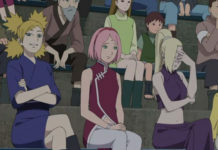 The mod developers did quite an excellent job in voice acting for NPCs which gave these NPCs personalities and immersion. In addition, the way NPCs interacting with players will depend on how the players take action and decision throughout the questline. This mod only adds about 6 – 8 hours for players to enjoy; however, this quest Skyrim mods is indeed among the best mods we’ve ever seen. It has received tons of praises from most Skyrim fans, both for its extensive gameplay and its intriguing story. 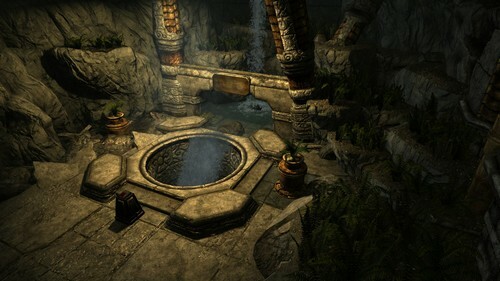 The Forgotten City brings players to a new city, a Forgotten Dwemer city with unknown history and many secrets lie beyond. The most revered feature of The Forgotten City is its extensive story with various endings. In this city, players will have to use their wit and knowledge to uncover the city’s secret. Players will have to search throughout the city and experiencing bizarre events in order to seek the truth, interact with city’s inhabitants and find out their stories. 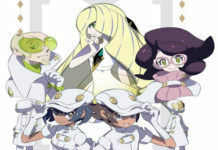 And in the end, players will have to stand in a dilemma situation in which they will question their morality. 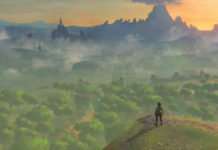 The mod includes: a whole new city with tons of mysteries, a unique soundtrack, interesting and interactive city’s inhabitants, puzzles and challenges which require knowledge and wit rather than just fighting through horde of enemies, and especially an extensive script with more than 1000 dialogues, NPC interactions, and endings (according to Nexus). In most games, Elves are portrayed as long-ear people who live in harmony with the nature. And unless they are provoked and threaten, they won’t disturb human’s life. However in Skyrim, there is an empire called Aldmeri Dominion which seeks control throughout the world of The Elder Scrolls. In Skyrim, players don’t encounter the Aldmeri Dominion directly, but rather, through its governmental division called the Thalmor. 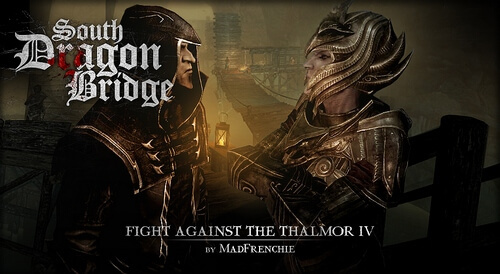 If you are among the people who want to beat the Thalmor then Fight Against the Thalmor will be your perfect chance. This quest Skyrim mods is actually a series which is about the battle with the Thalmor. Currently there are three mods: Adal Matar the Lost Stronghold, The Cyrodill Frontier, The Aldmeri Domain, and South Dragon Bridge. This mod series provides lots of hours of gameplay, including voice-acted NPCs, exciting battles against the Thalmor, new loots, tons of new enemies (according to Nexus). The mod series also sticks with the vanilla Skyrim and The Elder Scroll lore; therefore, players can ensure about the immersion. Talking about mind-blowing stories with twists and turns, we used to have Maids I: Euphoria in The Elder Scrolls Oblivion. And now, we can continue the story with its new sequel: Maids II – Deception. Now this is a huge, huge quest Skyrim mods with an intriguing main questline and side quests, a whole new land, an extensive and connecting dungeons set, tons of NPCs and dialogues (especially the maids), and more contents in the future (according to Nexus). 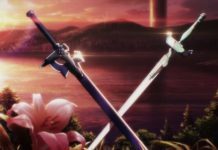 At first, this mod was thought to be just another adult mod; however, as the players experience through the story they will explore an extensive story with unexpected twists and turns. As the result, players who prefer experiencing fascinating stories will surely love this quest Skyrim mods. And for those who prefer fun time with Skyrim, maids in Maids II – Deception can probably give you happy times. Remember those “catmen” who always ask you to buy some “Skooma”? They are the Khajiit who are skillful in trading, and most of the time we can see them travelling throughout Skyrim as caravan traders. The Khajiit has quite an interesting origin, and with Moonpath to Elsweyr, we can finally come to Elsweyr, the homeland of Khajiit. Moonpath to Elsweyr brings players to the land of Elsweyr where the Khajiit people are fighting against the Thalmor. In this quest Skyrim mods, players can experience brand new land with tons of quests and NPCs. Along with the new land, there are lots of unique landscapes and monsters, which both give a fresh experience in this 6-year-old game. Of course, lore in this mod is nicely delivered and vanilla-friendly. In Skyrim we can become a Necromancer via the Conjuration skill tree. However, not all players will satisfy with that. Thanksfully, with the Undeath quest Skyrim mods, we can now enjoy even more as a powerful Necromancer. 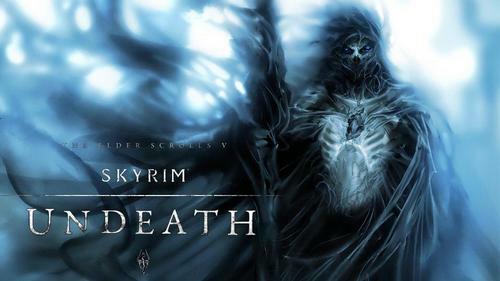 Undeath is quite straight forward quest Skyrim mods in which the players have to chase down and defeat a powerful Necromancer. Despite short game time, this mod will give players a decent amount of interesting questline with the reward of becoming a Necromancer themselves. 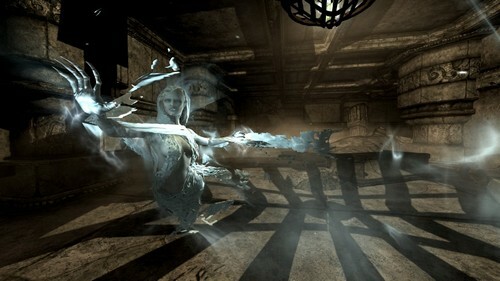 And especially, players can learn to transform into a Lich with powerful Lichdom abilities and army of the dead. In overall, people always like to play as a Necromancer, and Undeath will be a perfect chance for it. And even if Necromancy and Lich Form are not appealing, having new arsenals to cosplay as Death Knight is always welcomed. 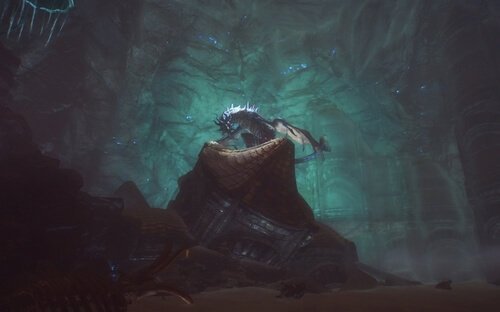 As you may guess from the name, Wyrmstooth is a quest Skyrim mods about dragon. 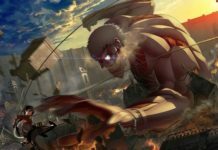 In this mod, the players are tasked with a job to kill a dragon which causing troubles to the people. As the players progress, they will be able to discover more about this dragon and the reason why it causes mayhem throughout the land. The most interesting part about the mod is its extensive dungeon and creative puzzles, along with fascinating dragon boss fight. 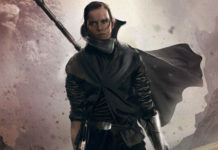 The mod also features new spells and shouts, unique soundtrack, new NPCs and interactions, and 17 new exciting quests. Wyrmstooth was pretty popular; however, it was unknowingly removed from Nexus and other media platforms. 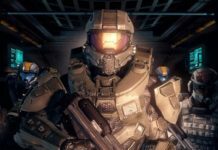 Though players can still experience the mod, there is no official support from the author and the mod has to be shared between the players in private. Those who spend lots of time in Skyrim will probably know about this mod. Falskaar can be considered to be the very first extensive quest Skyrim mods with more than 20 hours of gameplay with entirely new area. It took more than 1 year to complete the mod and nowadays, it is one of the biggest and most popular quest Skyrim mods. Falskaar brings players to the land with the same name, which is occupied by the Nords hundred years ago. The land of Falskaar includes lots of new NPCs with tons of dialogues, voice acted by professionals. It also features many new quests, new loots, two new spells and one new shout, and unique soundtrack. 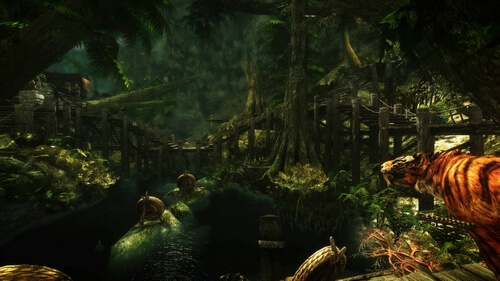 At the time Falskaar first released, it was an excellent quest Skyrim mods to fill the gap when people had already finished the game’s main questlines. Those who don’t have all of Skyrim’s DLCs can still enjoy the mod without any problem. Overall, Falskaar is an excellent mod to start with after finishing the main stories of Skyrim. After the beginning of the game, Helgen was completely destroyed by Alduin and literally there was no way to restore it. But with Helgen Reborn, we can finally bring this city back to its former glory. 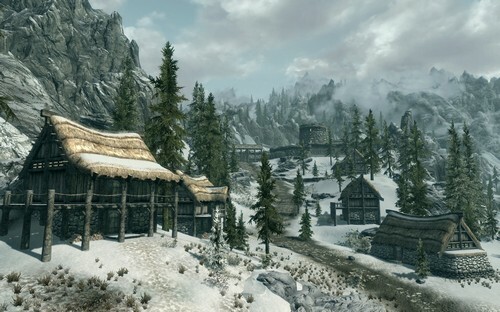 Helgen Reborn, just as its name mentions, is about restoring the city of Helgen. By progressing through the game’s questlines, players will get to choose how they will rebuild this city: giving it to the Stormcloak, or to the Imperial, or make it an independent city? Each choice will give players different approaches and quests and it will be an interesting experience to see a city comes back to life from rubbles. Although it only adds about 6 hours of gameplay, Helgen Reborn is an excellent addition to the quest Skyrim mods including tons of new activities, revived community of Helgen, and fascinating stories. 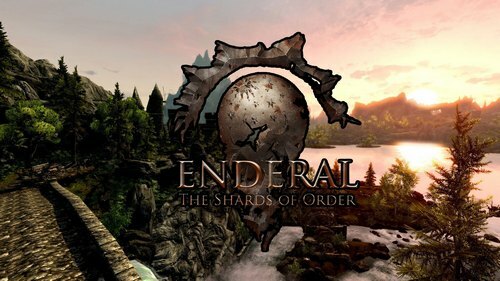 Many people like to make quest Skyrim mods, but so far there is no other officially released mod which is as enormous as Enderal. To create such an ambitious mod, the development spent 4.5 years and what came out was truly a success. 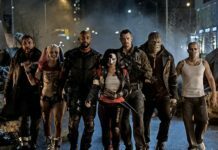 Since it is a mod created by a small development team, there might be several bugs. However, they are trying to address these as soon as possible. Overall, Enderal is a great mod, a great game and it’s best to enjoy it by yourself. Let’s wait for Tamriel Rebuilt! So we’ve taken a look at the top 10 best quest Skyrim mods to date and more and more quest mods will surely come up in the future. And of course, among the upcoming quest mods, we have to mention Tamriel Rebuilt which is an ambitious project of bringing all of Tamriel to Skyrim. But until then, stay tune for more news in the future!